Great thread. Thanks for reminding me. If memory serves me right..
1. Great thread. Thanks for reminding me. A couple of weeks ago, I ran across a newspaper article I had set aside about this event. I left it at work. I'm going to add something to the Lincoln assassination thread when I can get to a faster connection. Thanks again for the great threads. 2. If memory serves me right..
Ken Burns’ documentary was based on Timothy Egan’s Book, “The Worst Hard Time”, which may be one of if not the most harrowing book I ever read. Curious why it didn’t get a mention but Ken Burns did. 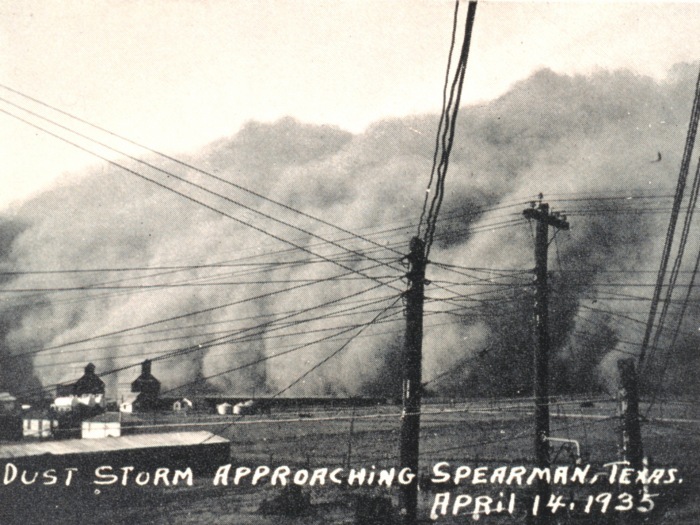 An aside, one of the dust storms in 1929 or 1930 moved east, going through northeastern Ohio. My father was in first grade in Painesville and remembered seeing it.